Don't forget to click HERE and check out all of the details! My goodness. I love pink and bows and all things girly. 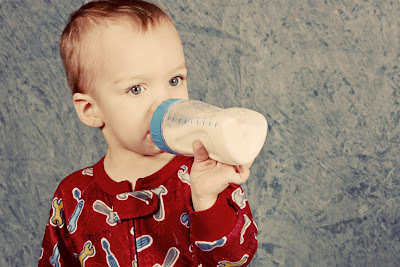 I had a lot of fun doing this shoot and my Mason hasn't stopped asking for a baby sister since! ;) Here are a few of my favorites from the day. Pretty girl and pretty Momma! I'm putting your gallery up as we speak! 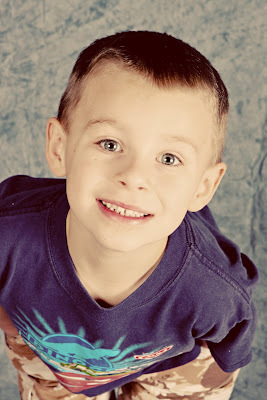 If you want to see the rest you'll have to get the password from the proud Mommy. PS Don't forget. 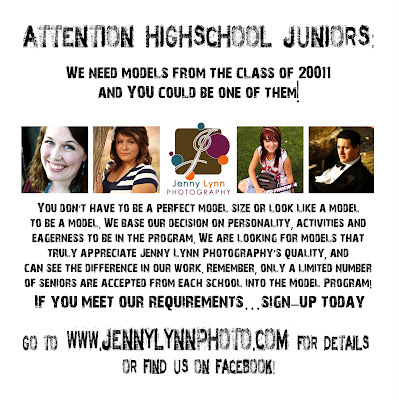 I need models from the class of 2011. If you or someone you know qualify, head on over HERE. Another PS Here are a few shots of my little ones. 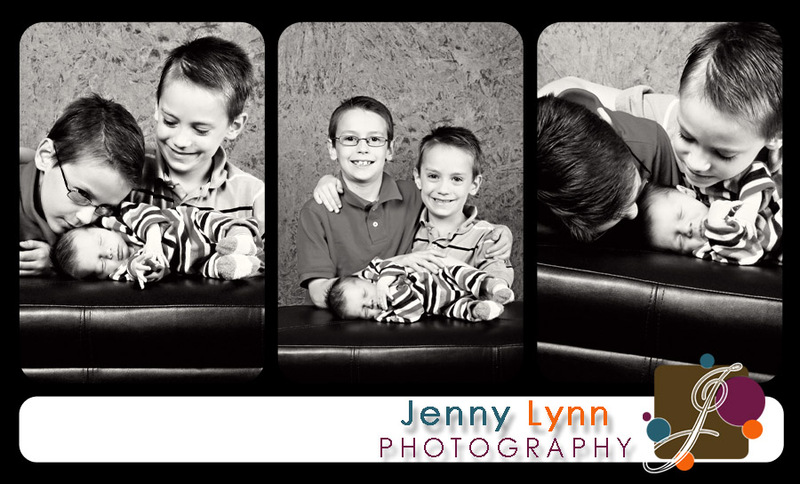 They are good sports to always let me test the light on them before my sessions. I love my little family. I got to play with this BEAUTIFUL little girl today! She is the tiniest baby I've ever seen. I told her Mom I would post one today, so here it is! (I guess technically it's tomorrow, but who's counting.) The rest are almost finished. I will let you know soon!! So here is a new product I'm offering. They are so yummy. Press printed books. 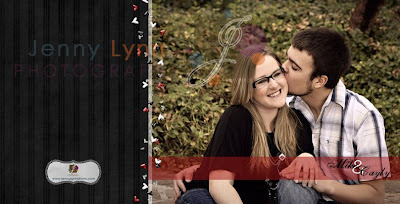 They are great for wedding reception sign in books, all of your baby's pictures from their first year, a senior album for all of your friends to sign, an album of wedding pictures. . . The list goes on and on! They also make GREAT gifts! 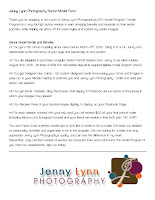 Check out my session pricing because some packages INCLUDE one of these books. 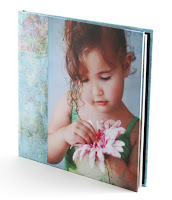 The books are hardbound with a custom printed cover. (NOT just a dust jacket!) They include 20 sides, but more can be added. Pricing is listed here. 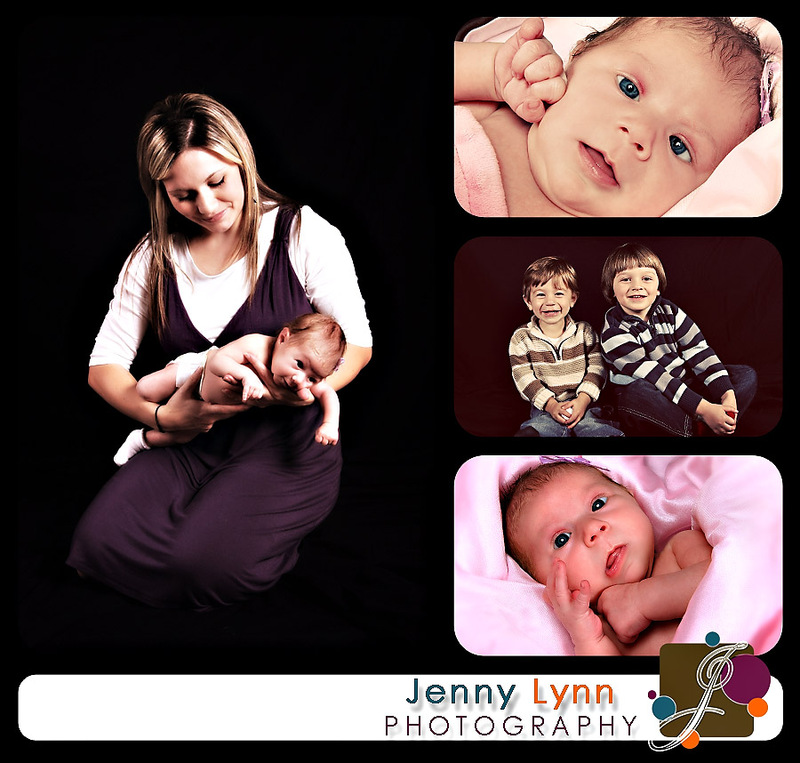 Talk to me about getting one of these keepsakes from your next session!! 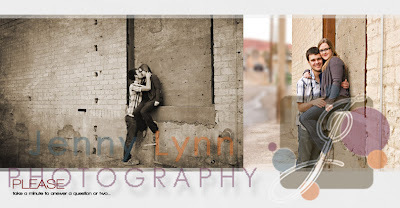 Here is an example of a wedding sign in book that I am CRAZY about!! There are prompts on each page so instead of just a boring signature, your guests can write a little quip. So much fun! I wish I could turn back time and do one of these at our wedding. 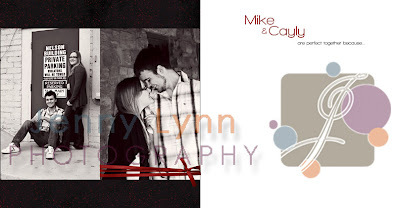 By the way, I want to let this DARLING couple know their gallery is up and running!! Click on "Client Proofing" on the top. Let me know if you can't figure out your password! ;) Thanks again. You guys are the best! If you want me to design your announcements, let me know! P.S. 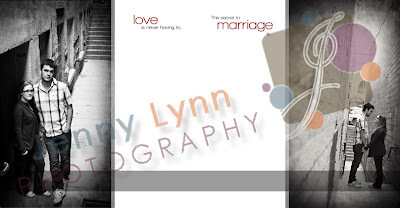 If you would like a book like this, I would LOVE to do it for you!! PLEASE don't use my design layout, wording, or otherwise plagiarize. I'm a nice girl. Don't steal from me mkay? Thanks. 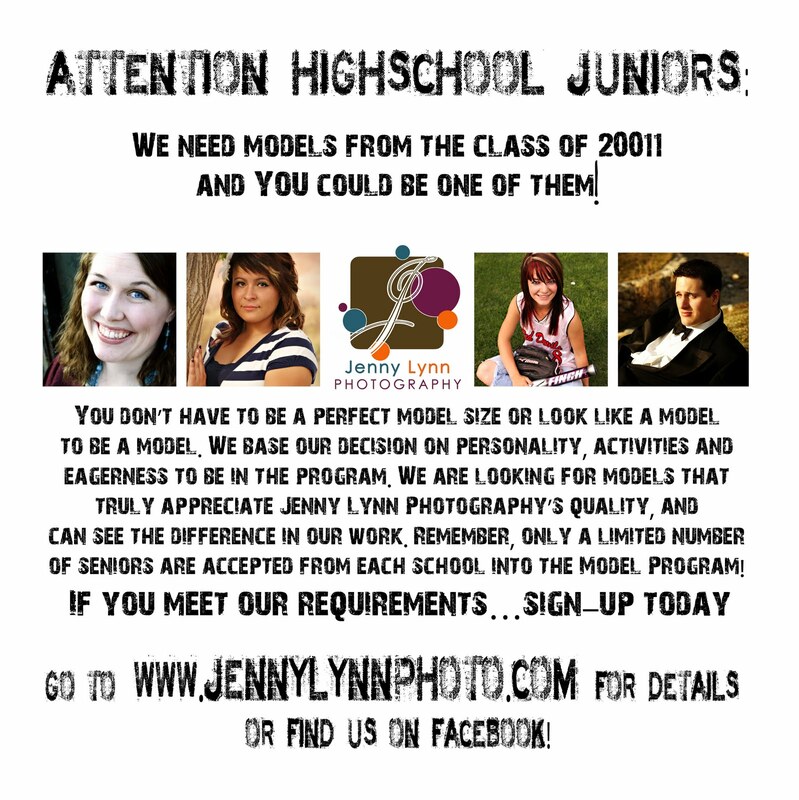 I am SO STINKING EXCITED to announce my new Senior model program! 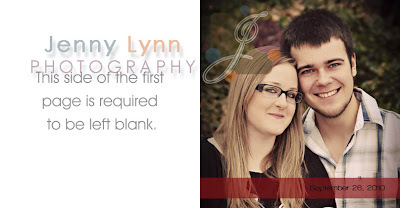 If you are accepted, you get a free mini session, and the best part is you can earn prints and products for free!! 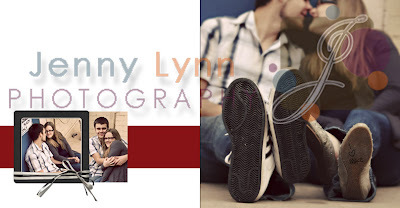 You can get your announcements, prints, albums, and other products by referring your friends to Jenny Lynn Photography. #1 You get a 30 minute modeling shoot taken before school starts for 2010. Bring 2 0r 3 fun, funky and fashionable outfits that show of your style and personality at one location. 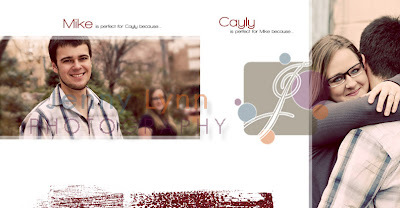 #3 You get Designer Rep Cards – 50 custom designed cards showcasing your name and images to pass out to your friends, helping to promote you and Jenny Lynn Photography. #4 You get fame! 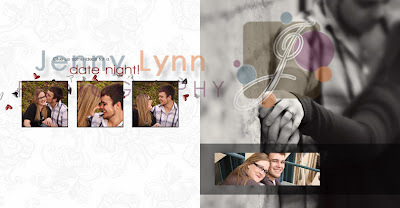 Website, Blog, Brochures, Mall display & Facebook are just some of the places in which your images may appear! 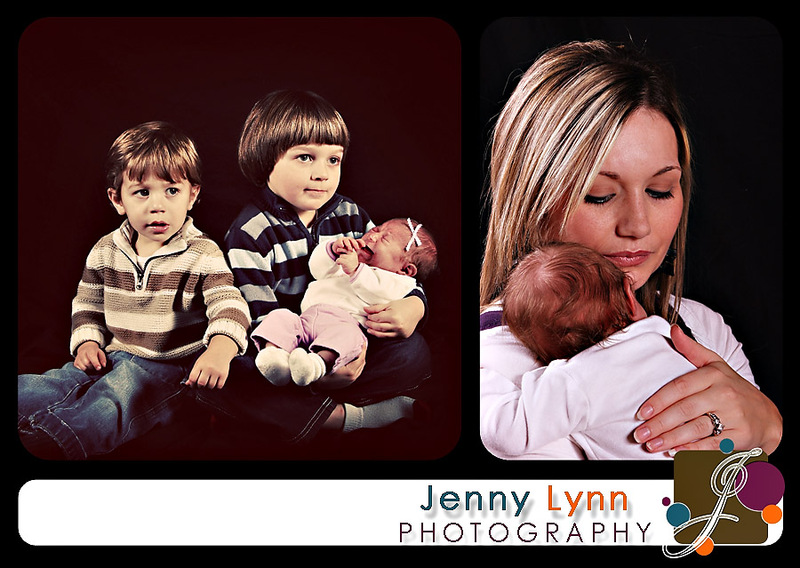 #5 You Receive three of your favorite images digitally to display on your Facebook Page. 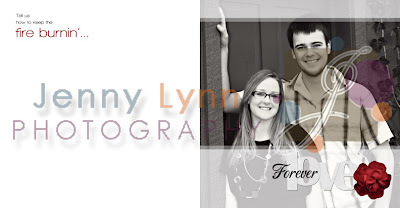 #6 For each session booked with your rep card, you will receive $20 off your final portrait order (Including Albums and Autograph books, Announcements, Proof books, and Enlargements!) and your friend will receive a free 8x10 print. NO LIMIT!! #7 Accepting models in Saint George, Cedar City, Enterprise, Moab, Mesquite, Las Vegas, and a very limited number in Salt Lake/West Valley. You don’t have to be a perfect model size or look like a model to be a model. We base our decision on personality, activities and eagerness to be in the program. 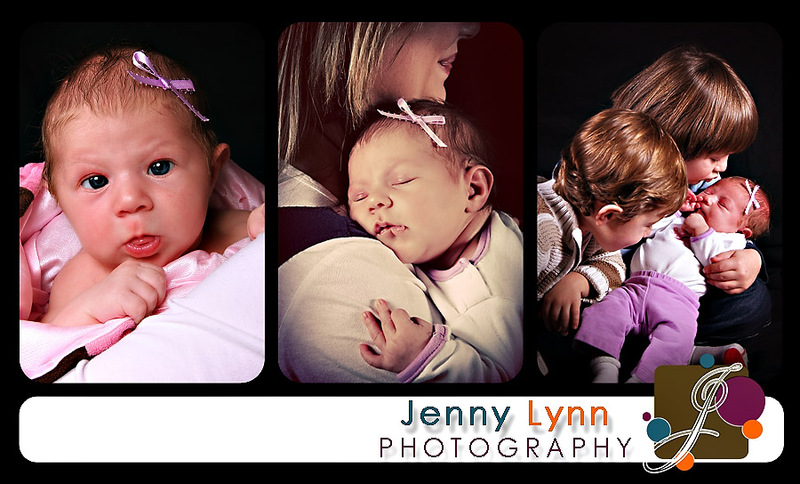 We are looking for models that truly appreciate Jenny Lynn Photography’s quality, and can see the difference in my work. Remember, only a limited number of seniors are accepted from each school into the Model Program! 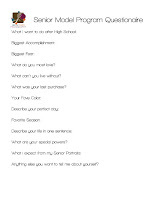 If you meet our requirements…sign–up today! Please help me spread the word! 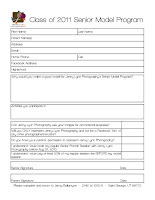 If you or anyone you know is graduating in 2011 let them know about this GREAT opportunity! There are a limited number of positions available so apply today!! I know 3 things about this little girl. 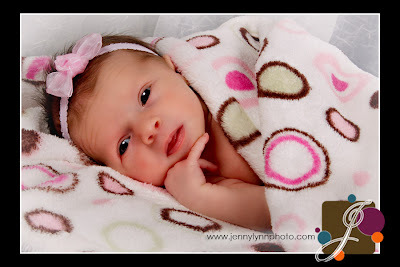 #1 She has the CUTEST little baby nose I've ever seen. #2 She LOVES her Mamma. #3 She DOES NOT love my big bright lights!! 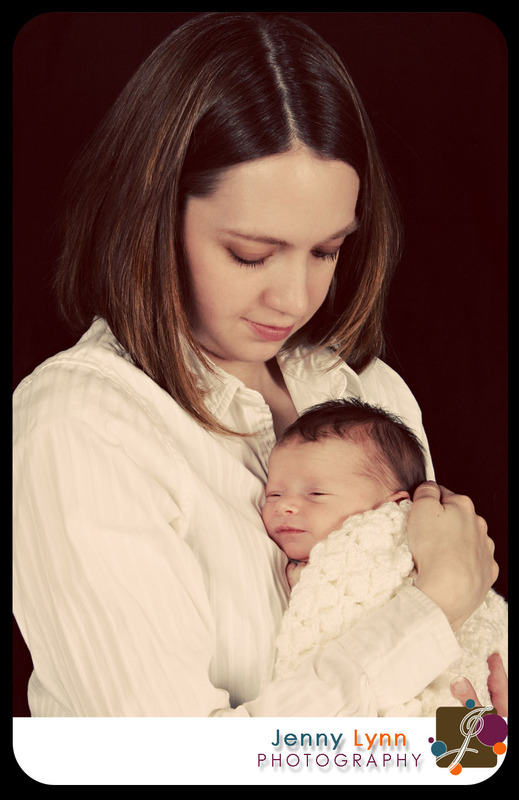 She was perfectly happy for our session. . . . As long as she was cuddled up with her Mommy and I didn't flash her with the lights. Ha ha ha. Can you blame her?? And big brothers were there to take great care of her. The younger one was the FUNNIEST about the monkey I have in my camera. (Let me know if you haven't met my monkey. I'd be glad to introduce you.) 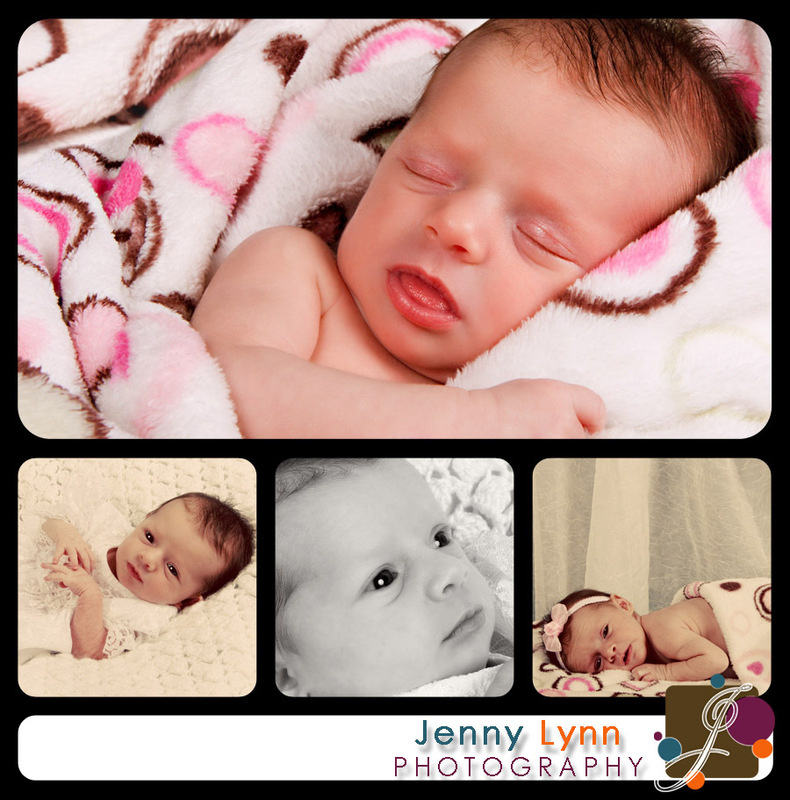 Thanks for letting me take pictures of your beautiful baby. It really was a pleasure. PS Kristi you are GORGEOUS!! Your gallery will be up in an hour or so!! Go to the sidebar and click on Client Proofing. Find your gallery and enter the password. (Which I will email you soon!) Feel free to share the password with your family and friends! Thanks again! !